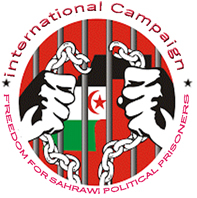 Bir Lahlou (Liberated Territories), March 24, 2019 (SPS) - Minister of Foreign Affairs of the Sahrawi Arab Democratic Republic (SADR), Mohamed Salem Ould Salek, said on Sunday that the right to self-determination is the fundamental principle of contemporary international law, signed by the Sahrawi side and Morocco in 1991. The right to self-determination is "a consensual solution that comes in accordance with the nature of the conflict in Western Sahara as a matter of decolonization. This process must be completed with the exercise by the Sahrawi people of their inalienable right to self-determination and independence,” said Ould Salek. The statements by Ould Salek, a member of the National Secretariat of the Polisario Front, follow those made by Morocco’s Minister of Foreign Affairs, Nacer Bourita, in which he referred to "the conformity of autonomy with the principle of the right to self-determination and independence,” ahead of the second roundtable that brought together the two parties to the conflict, namely Morocco and the Polisario Front, under the aegis of the United Nations Secretary General Special Envoy, Horst Kohler, on 21-22 March in Switzerland. The right to self-determination is "a fundamental principle of modern international law,” which also represents the basis on which the United Nations (UN) was founded after the Second World War. This principle was included by the San Francisco Congress in the first article of the UN Charter. “Since the international community does not currently recognize Morocco's sovereignty over Western Sahara, the Sahrawi people will only accept the independence of its entire national territory," he stressed. The peaceful consensual solution forces Morocco to definitively abandon the occupation policy and stop at its recognized international borders, Ould Salek stressed.